Some results from a practice session. 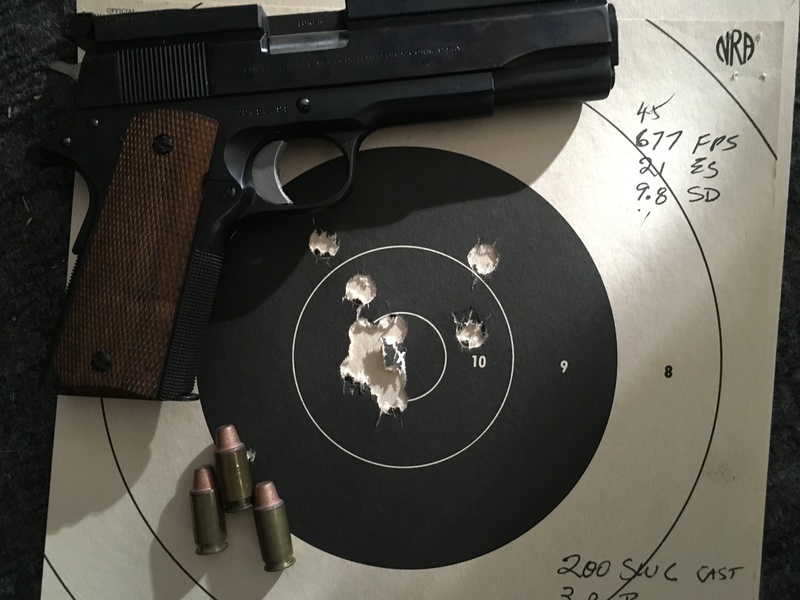 This target shows some results from a chronograph session at my local range. Distance was 25 yards. A fellow shooter let me use his Labradar chronograph. We had some issues with the chronograph reading the bullets but out of the 10 shots we did get readings from 5 shots. The results are noted on the upper corner. I had no rest so these were shot from a two handed hold on the bench using iron sights. The neat thing about the radar chronograph was that it gave velocity read outs at intervals downrange. Velocity at 50 was not averaged but seemed to be 610 fps or so. Re: Some results from a practice session.